We’ve been in our present home about 11 years. After we moved some shrubs that were at the side of the house and put in a sump pump, we needed something new that looked nicer. 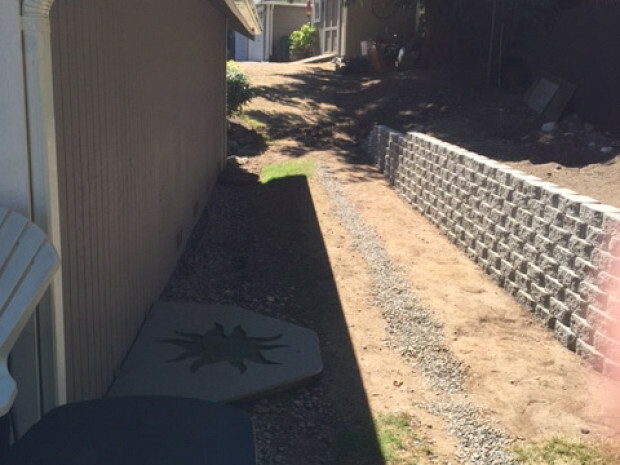 We were going to do stepping stones but decided to install sidewalk. I just googled “cement contractor in the area” and when Networx came up, I went through that. We got 3 estimates for the job. We had something poured when we first moved in 11 years ago, but we haven’t had work like this done in a long time, so we were kind of shell-shocked at the prices. The area was already cleared; there was a little bit of grass but not much. Basically, he just had to come in with a crew and pour the concrete. They started at noon and were done by 6:00 that night. Online customer reviews are usually very important to me but he had none. He’d only been with Networx less than a month. I just had a really good feeling about it when he came and talked to us, so we let him do it … and I’m glad we did. We are very pleased with the end result. It was a good experience. They cleaned up after themselves. We’re very happy with the results and will probably have Mike come back next year; I think I want a cement patio off the deck. 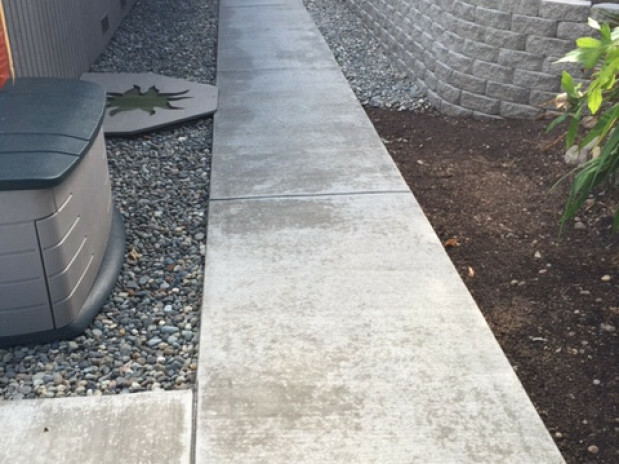 Go with your gut feeling and have several bids from concrete contractors. (Three was enough for us.) Talk to them; have them come look at the job. Ask as many questions as needed to make sure they understand and you get what you want.